Yeah, F1! Chief among function keys and also something to do with cars. As another racing title skids across my desk, it behooves me to consult with my correspondent on all things wheeled, Tall and Merciless Chris! 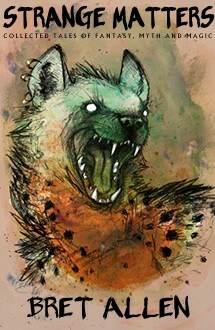 Click pics for nice, big versions. 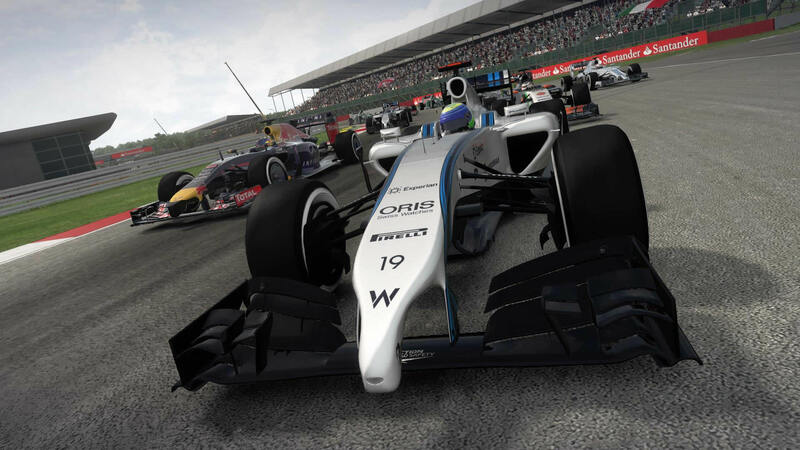 “Being Codemasters’ last entry in the series before it moves to the new generation of consoles, F1 2014 was always going to be an iteration rather than a revolution, but in truth even calling this a reskin gives the game more credit than it deserves. From the ‘press start’ screen, through the menu options and layout to the in-game HUD, 2014 appears near identical to its predecessor. There is in fact less content on offer this time around, with the young driver test mode and much-touted classic cars and circuits from 2013 completely absent, although scenario mode returns better than ever and is one of the game’s strongest areas. Career mode has also been scaled back, as rather than working your way from the back of the grid to a front running team over a series of seasons, you are now able to choose any team from season one. Big differences are, however, present once you get out on track. F1 has switched from screaming V8 engines to the quieter growl of turbocharged V6s this year. Even as someone who doesn’t mind the sound of the new cars, there’s no denying that their in-game counterparts sound disappointingly flat, although it is nice to be able to hear the turbo whistle, tyre squeal and even the crowd cheering your overtakes. These powerful new engines require a gentle touch on the accelerator, as it’s now far easier to spin your wheels on the exit of corners resulting in plenty of fun sideways moments. Braking distances have been significantly shortened too and are now much closer to the real thing, giving you far more confidence to attack corners. But it’s handling that sees the most significant change, particularly when playing with a controller. Even with all assists turned off, far from verging on un-drivable as in previous games, it’s hard not to feel like an invisible hand is always there gently and subtly guiding you through corners. While on the surface this may sound awful, in truth (despite my love of more simulation-heavy games) this is easily the most fun from the get-go I’ve had with an F1 title since Codemasters took over the license. The cars are still a challenge to drive, but far from feeling like a constant battle, they want to be thrown into corners and pushed to the limit. The old consoles are starting to show their age now that the PS4 and Xbox One are available and F1 2014 does little to impress visually, even coming in behind Codemasters’ own Grid Autosport. The new cars themselves are modelled well enough, but often appear so reflective they’re difficult to see beneath a white sheen. It’s also worth noting that due to alcohol licensing, the Williams FW36, arguably the best looking F1 car in many years, is missing one red stripe and much of the charm of its Martini livery. The two new circuits in Austria and Russia are both as accurate and well put together as those returning from last year, which is particularly impressive in the case of the Sochi Autodrom which hosted its first race less than a week ago. -Damn, son. He went there! Well, I learned more about car racing, yet again. I never knew you could attack a corner. Big thanks to fellow gamer and reviewer, Tall and Merciless Chris (@TnMChris). 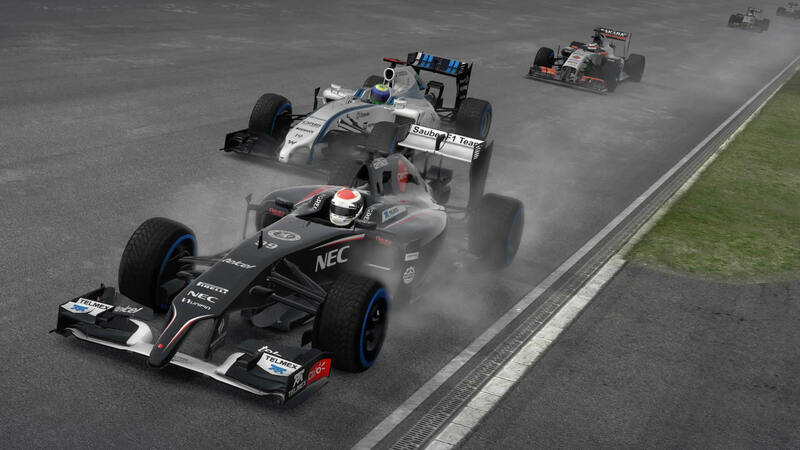 What have Codemasters got to say about the title? 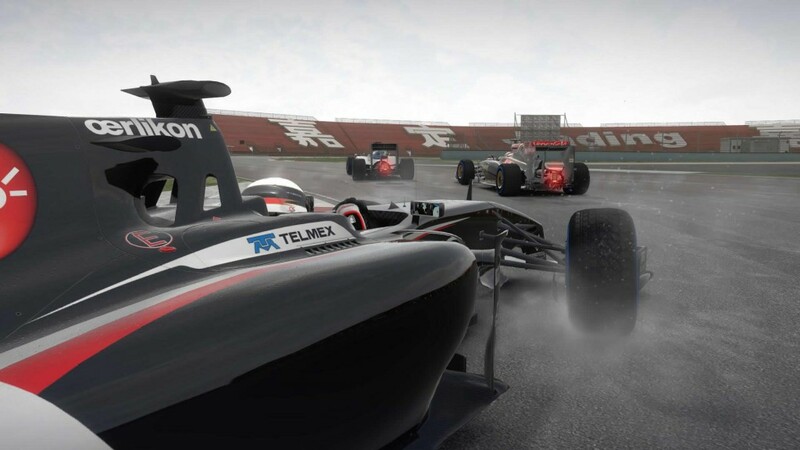 “This is the year it all changes – for the sport and for the game,” explained Stephen Hood, Creative Director for the F1 series at Codemasters. 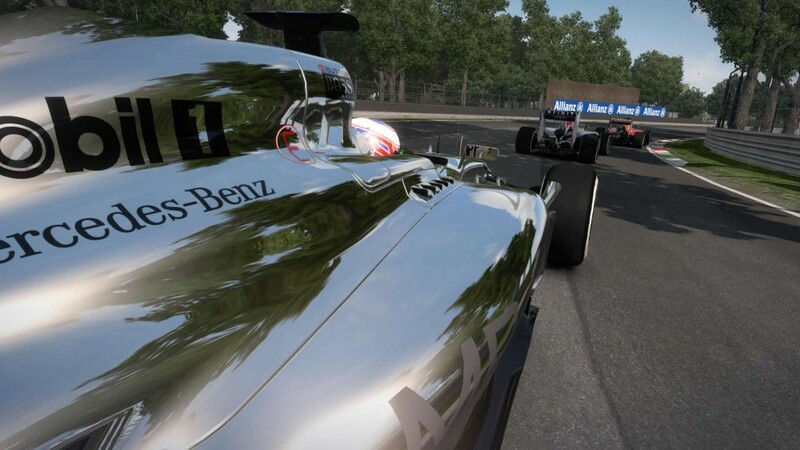 With more to be announced through production for both titles, follow Codemasters F1 games blog and social channels on Twitter and Facebook for updates. The first gameplay video is now playing at www.youtube.com/formula1game. 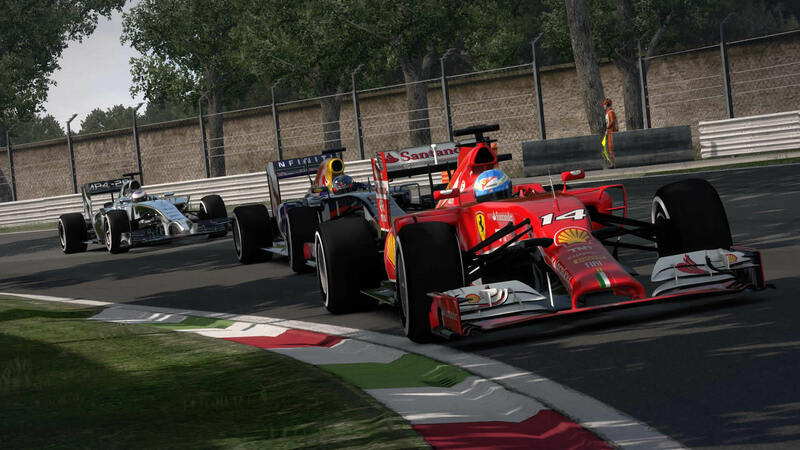 F1 2014 will be published by Codemasters and distributed by BANDAI NAMCO Games in Europe, Middle East, Russia and Australasia.